Below is another one of my Blog Ambition beauty posts for The Kit. Enjoy! When I think of oil, I immediately think of my favourite snack. I envision myself sitting at the kitchen table with my father, while he carves into a large hunk of crunchy Italian bread, spilling dark crumbs everywhere. He hands me a piece, and I grab the crust, turn it over, and dip the soft, white, porous inside into a plate of extra virgin olive oil. The bread sops up the oil like a thirsty sponge, and my mouth is happy. When it comes to non-edible oil, it can be daunting to imagine any type on the face. We’ve been bombarded with messages that oil causes breakouts and grease slicks. 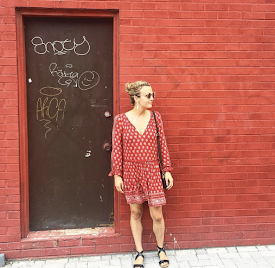 It’s time to debunk that beauty myth. It is actually true that if skin is devoid of oil (cough, cough too dry) it will actually work overtime to produce it, in turn causing more breakouts. 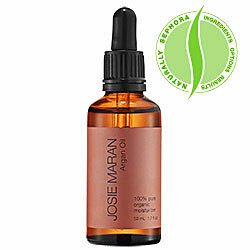 My latest skin saviour is Josie Maran’s Organic Argan Oil, available at Sephora. The oil is organically grown in Morocco, and is cold-pressed to perfection. While I thought oil on my face would be extremely greasy, Josie Maran’s face oil absorbs effortlessly and has quickly replaced my heavy night cream. With vitamin E and fatty acids, it leaves skin feeling smooth and rejuvenated. Best of all, the product is purchased from women’s cooperatives in Morocco to support their social and economic welfare. While nothing can replace my pre-dinner snack, this is the kind of oil I can really sink my pores into.